The island of Boracay, located approximately 315 kilometers away from Manila, is not only known as one of the Philippines' premier tourist spot but it has also become one of the most sought-after Philippine wedding destination venues. If you and your partner would want to be like other couples who said 'I do' to a Boracay wedding, then here's some things you need to know. Since Catholic soon-to-weds are required to have their wedding ceremony inside churches, the only church here couples can hold your wedding ceremony is at the Holy Rosary Parish. The Holy Rosary Church is located in Station 1, Brgy. Balabag. It is usually reached by foot since it is located at the back of the resorts and hotels in the area. Normally, packages offered by Boracay wedding planners and Boracay wedding reception venues include transport to and from the church, in the form of a golf cart. The facade of the church is adorned with a colorful mosaic depicting Jesus Christ with His arms stretched and the Holy Spirit, with a star image on its body, if found above His head. The lower part is accentuated by mosaic images of coconut trees, fishes, and sea waves. Inside, the altar wall is decorated by stone found on the beach of Boracay. The church can accommodate up to 100 guests, making it ideal for intimate weddings. Fee for church wedding includes simple decorations and flower arrangement. Couples who opt to have civil wedding and those that are non-Catholics are the ones who get to experience a beach front Boracay wedding ceremony. The entire beach front is transformed into an open air wedding venue, complete with decorated chairs, aisle, and altar. The sea and then horizon then becomes a 'wall art' that changes throughout your wedding. In the morning, it's all blue and white; in the afternoon, it dons red orange hues. Most weddings are done in White beach, within Stations 1 – 3. However, this is located in the commercial establishments in the island paradise, where most . There are now other areas where they could hold their nuptial such as the beach area managed by private resorts and hotels. There are also newly discovered areas are located far from the famous beach areas, allowing soon-to-wed couples to experience a truly intimate wedding. It is advised to have the wedding ceremony either early in the morning or just before sunset. This prevents you, your partner, and your wedding guests from squinting. The right amount of sunlight will also produce astounding wedding photos. Wedding receptions can also be done at the beach front. 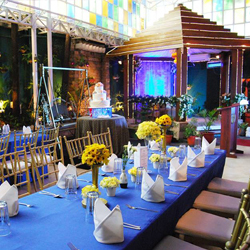 Arrangement usually depend on your Filipino wedding caterer or the Boracay hotel wedding venue you have booked. Be mindful however of the tide. Not all areas of Boracay are of the same distance to the sea shore. Make sure to discuss with your wedding planner, if you have one, or your resort venue what is the tidal situation in the area. Much like any other wedding reception, a Boracay wedding reception can don your preferred wedding theme. 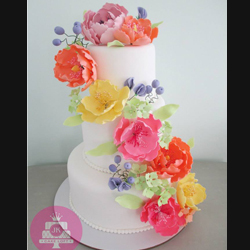 Most couples go for a Sand and Sea shell theme, others have done Grecian, and Tropical. It all depends on you and your partner. But one thing that is always present in all wedding held in Boracay is sand sculptures. These intricate sand castle artworks are done by local sculptures. 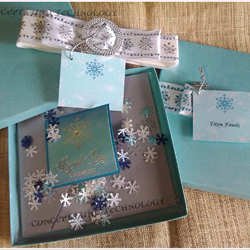 They have template designs which you can ask them to make or have one done specially for your wedding. With the media exposure Boracay has been receiving, and the countless number of couples who have tied the knot here, is it still worth it to tie the knot here in this island paradise? Some say yes, Boracay is overrated; that other beach destinations are better than Boracay mainly because it is very commercialized. Others say it's not; they still believe that its white sand beach and beautiful sunset is still one of the best in country, probably in the world today. The choice is your. If you and your partner really want to have a Boracay wedding, then do not let others stop you. 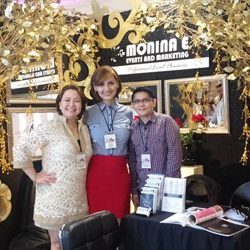 With the right Filipino wedding supplier and right mindset, you can make your dream beach wedding come true. Happy planning!